This blast chamber contains a contraption that blows bubbles filled with a mix of flammable gases including hydrogen. 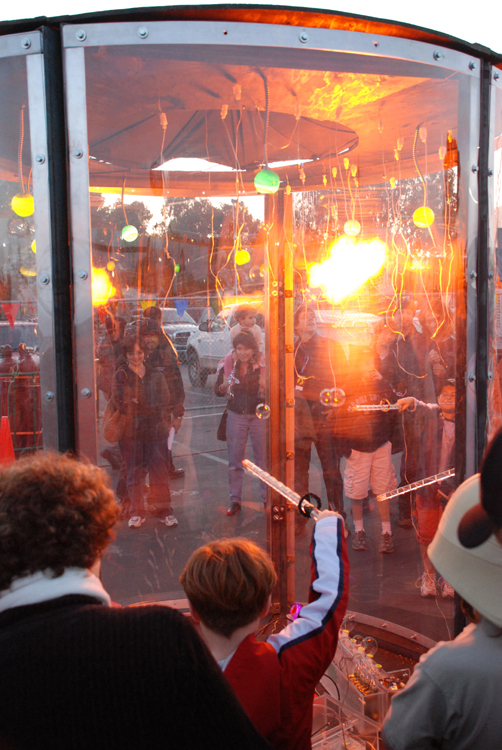 Then kids pop the bubbles using little wands tipped with red hot heating elements. As far as I know, no eyebrows were singed off.